Based on a novel optical design by Klevtsov, the versatile TAL-200K is the ideal instrument for the advanced amateur astronomer who desires high resolution and excellent light-gathering power (limiting visual magnitude 13.5) in a highly portable telescope. The TAL-200K provides an aperture of 200mm and focal length of 2000mm in a very compact tube length of only 550mm (22 inches). Klevtsov's revolutionary catadioptric design employs a sub-aperture meniscus correcting lens (like the familiar Maksutov) combined with a Mangin mirror-lens secondary. Its fast focal ratio of f/10, flat field, and excellent correction of coma, spherical aberration, and astigmatism (14 micron star images at a distance of 10mm from the optical axis!) make the TAL-200K a superb instrument for astrophotography, far surpassing conventional Schmidt-Cassegrain and Ritchey-Chretien systems. Every optical component must pass stringent tests. Interferograms on three axes of each optical set are retained by the factory's quality control department. The telescope is supplied with an 8x50mm finder with a 7 degree field of view, an equatorial mount with motor drive in Right Ascension and manual slow-motion in Declination, two eyepieces of 25mm and 10mm focal length, and a 2x Barlow lens. 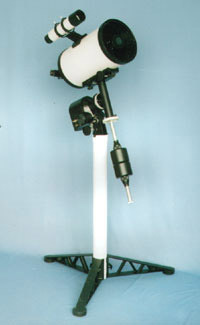 At the customer's request, the mounting can be supplied either on a rigid metal pedestal or a hardwood tripod. A fitted wood carrying case is also included. To comfortably observe objects near the zenith, a diagonal mirror which diverts the light path by 90 degrees is also supplied, as well as an adaptor for 35mm SLR cameras. All surfaces of the refractive elements have anti-reflection multi-coatings for maximum light throughput. The TAL-200K is a remarkbly compact, easy-to-use instrument that will meet the requirements of the most demanding amateur astronomer. Das erste knappe Dutzend von TAL-200K Teleskopen traf Ende Marz 2001 in Deutschland ein. Aufgrund der langen Wartezeit seit der ersten Ankundigung des Teleskopes, wurde in den Astrokreisen spekuliert wie um kein anderes Teleskop in letzter Zeit. At last I have a telescope that sees better than I do. This instrument is a carefully designed and built Cassegrain with a big difference, its tube is open at the top like a Newtonian. The Klevzov optical train uses a meniscus like a Maksutov but there the familiar ends. 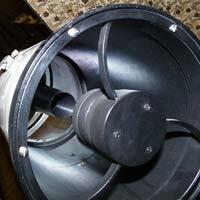 This design offers a few disadvantages and many advantages over all other scope designs. My name is Randy, I have 200K #133 purchased from Photon Instruments. Here in California at 9000 feet there has been many nights I have been able to compare the view of the Tal200k to a 7inch fluorite. Also be able to view at 400 power. You can clearly count 9 bands on Jupiter. My 11 inch Celestron would not accomplish this. I have other very expensive scopes, none better for the Money. Taking all things into consideration, this scope gives you the most bang for the bucks. And you donБ─≥t need expensive eyepieces. The views have been so good, I sold my C11. With my 200K I can see visually a significant improvement in my 200K optics over my Meade 10" f6.3 but I reckon it would take instruments to measure the superiority of a TAK or AP over the 200K OTA. You get a lot of optical performance for very little money. To get that (very) little extra the dollars are out of proportion to the improvement left unrealized. The Mak guys tend to claim that a Maksutov is a better design than a 200K. I disagree for a number of reasons, but when you compare a TAL 200 with an 8" Intes Mak (say), you aren't comparing like with like. The Intes is a *lot* more expensive than a 200K. As to optical quality, I personally have seen no evidence that an 8" Mak is better than a properly adjusted TAL 200. So whether the extra cost of an 8" Mak is worth it is debatable and I personally don't think they are. I can confirm that that the 200K is as good as Bill Brady says it is, and for a very reasonable cost. No colour either. Images sharp & point like pretty much to the edge of the field. No coma whatsoever. Images of the moon were razor sharp - I almost felt I could reach inside the small craters and touch the deep, black shadows in there. Amazing. I just checked out the price of an equivalent 8-inch Intes M809 Maksutov - they seem to be around 3500 to 4000 GBP for the OTA. If I'd had that much money to spend and bought a 200K instead, that leaves me, let's see ... well over 3000 GBP to spend on a decent stand, eyepieces, luxury heated hand-mitts and a decent CCD camera. Probably build a small observatory as well. 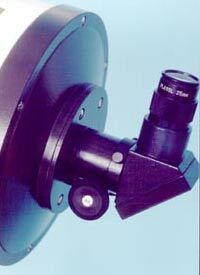 I believe it's pretty much the same as any 8" Maksutov - and at a fraction of the price. Overall, I've found the 200K to be excellent value for money. Would I buy one again? Yes, absolutely and without hesitation. You can spend a *lot* more money and get something only a bit better.